The GIS staff addresses the needs of the many departments of the consolidated government, the municipalities of Richmond County, and general public. GIS produces and distributes geographic data, creates maps, provides technical support and hosts web-based mapping services for our internal and external customers. We coordinate with Augusta departments, including those that involve but not limited to real estate, public safety, transportation, environmental services and development, to ensure that geographic data is maintained consistently. 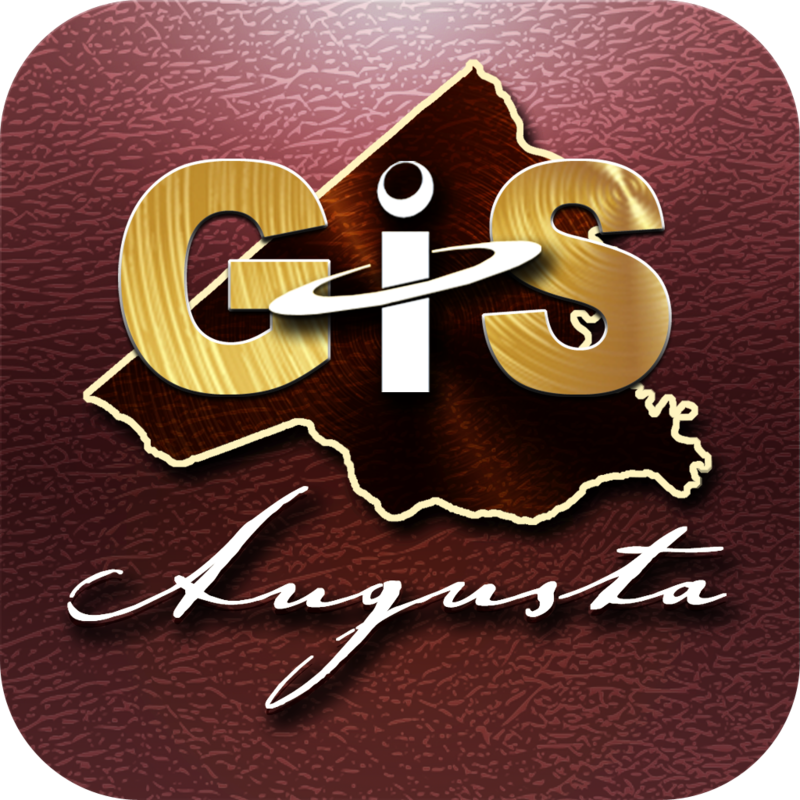 Click on the icon below to go directly to our online mapping application, Augusta Maps. You will be able to create maps using our available data layers, view property card information, and also print maps and property cards to your printer. For support using the application, visit Augusta Maps Help. What size maps can you print for me? Through integrated technology solutions, read the Storm Water Solutions article published Fall 2017 on how asset management & geographic information systems (GIS) are improving efficiency and providing transparency for the citizens of Richmond County. Read or listen to the report by WJBF-TV on how GIS assisted Augusta Engineering in mapping the new stormwater fees for Richmond County. Using GISMap, citizens are able to determine the amount billed and the impervious area. Read More. Read the Augusta, Georgia Blazing Trails article from Cityworks InPrint magazine published Spring 2017 on how sewer line blockages are being identified and addressed by Augusta Utilities with support of GIS technology. Read or listen to the report by WRDW on how GIS assisted the Richmond County Sheriffs Office with deploying a mapping application where citizens can determine the corresponding Zone Lieutenant. The City of Augusta wants to hear from you. Please submit any ideas or suggestions that you might have to our Community Voice tool by clicking the link below.